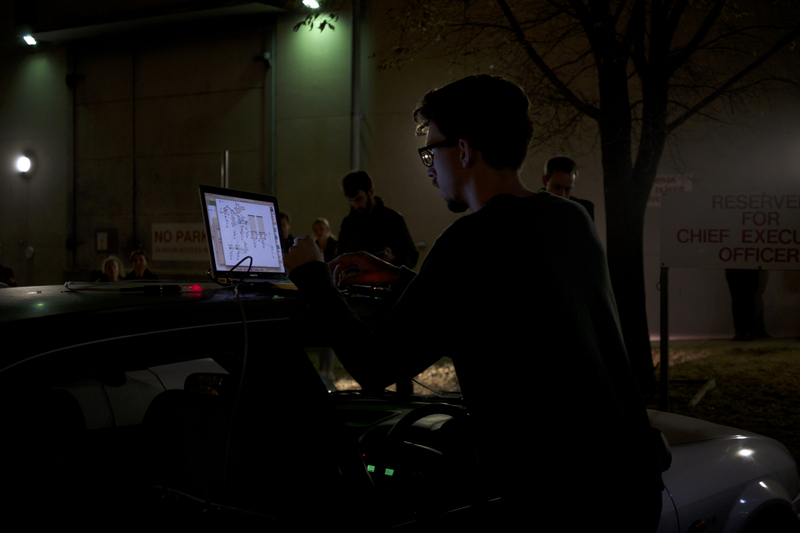 Assembled in the dark car park near CMAG, a quartet of electronic musicians with laptops, tablets and MIDI controllers generated music piping it to their car speakers via cable or FM transmitter. It was interesting noise, but it was getting late and I had to get home. 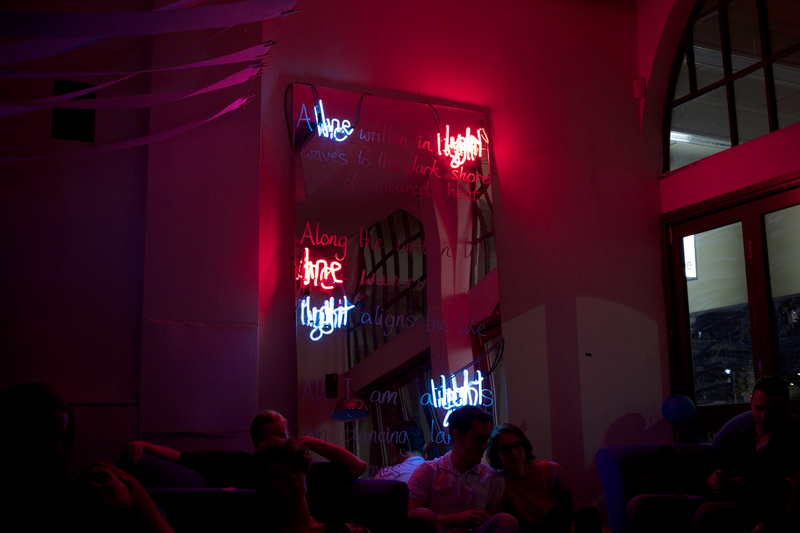 A listening party hosted by Lisa Sampson, where people bring a favourite song to share with the group. It was fun, I played Broadcast’s Lights Out from their Work and Non Work album. Others brought something that was interesting to hear to the sound system. Radical Face and Sigur Rós stood out for me the most. I’m actually really looking forward to seeing if this becomes a monthly thing. This entry was posted in music and tagged canberra, lisa sampson, listen in, music, photography, reuben ingall, YAH 2016, you are here. Bookmark the permalink.